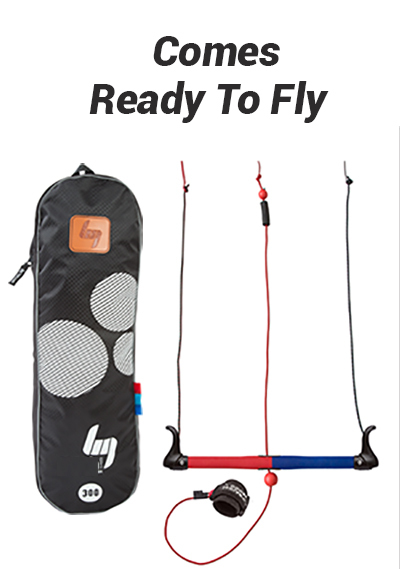 The HQ4 Rush 5 Pro is the new 2018 version and is one of the strongest and most durable traction / trainer kites on the market. . Its latest makeover has added amazing strength and durability with increased line strength, cross over bracing, fabric, and stitching. Check out our NO BULL GUARANTEE. Rush Pro 300 is a popular size. It offers a great balance of power and performance. 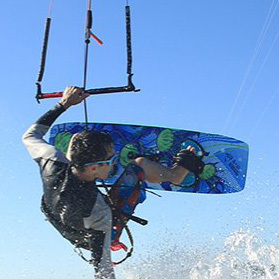 The kite is perfect for learning power-kiting skills and mastering kite control for new kiters wanting to learn how to kiteboard, kitesurf, snowkite, or land kite. Customers really like the Rush V Pro because it is an affordable, safe and a super-easy trainer kite that comes ready-to-fly. 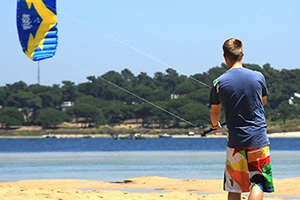 The Rush kite allows people to safely progress in their kite flying skills and to prepare for lessons before flying larger power kites. Rush V Pro 250. True size is 2 square meters. Produces light power & pull. Great for families. Rush V Pro 300. True size is 2.8 square meters. Produces medium power & pull. Great for Light weight adults. Rush V Pro 350. True size is 3.5 square meters. Produces strong power & pull. Great for people who want power. Ice skates on a frozen lake are a blast. 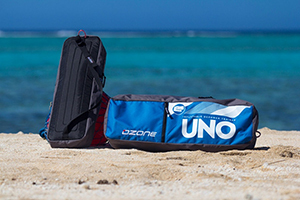 A rugged, more compact carrying case. Re-enforced baffles with cross webbing and additional stitching. This provides a significant amount of strength and toughness. Increased line strength. The new Rush V 250 and 300 both come with 385 lb test on the outside lines verses the Rush IV that had 250 lb test on the outside lines. The Rush V 350 comes with 485 lb test outside lines. 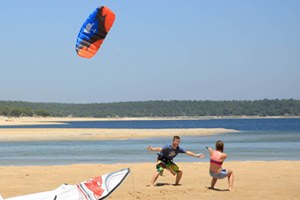 The foundation for building good kite flying skills needed for kiteboarding, kite-surfing, snow-kiting, landboarding and other traction kite sports are best learned by starting with a trainer kite. 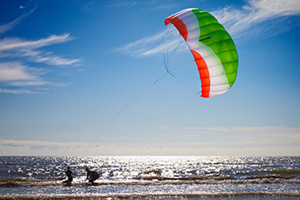 The Rush is an affordable, safe and a super-easy trainer kite that comes ready to fly. This kite allows people to progress in their kite flying skills and to prepare for lessons before flying larger power kites. The 300 has a nice balance of power in most wind ranging from 8 mph to 20 mph. The Rush IV and V Pro has a low aspect profile with more performance than ever before. 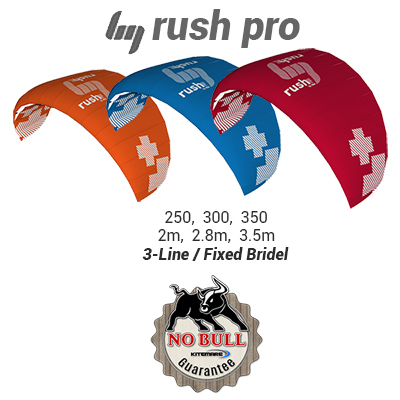 The Rush IV (4) Pro series are the easiest kites for beginners to learn kiteboarding and built to last. 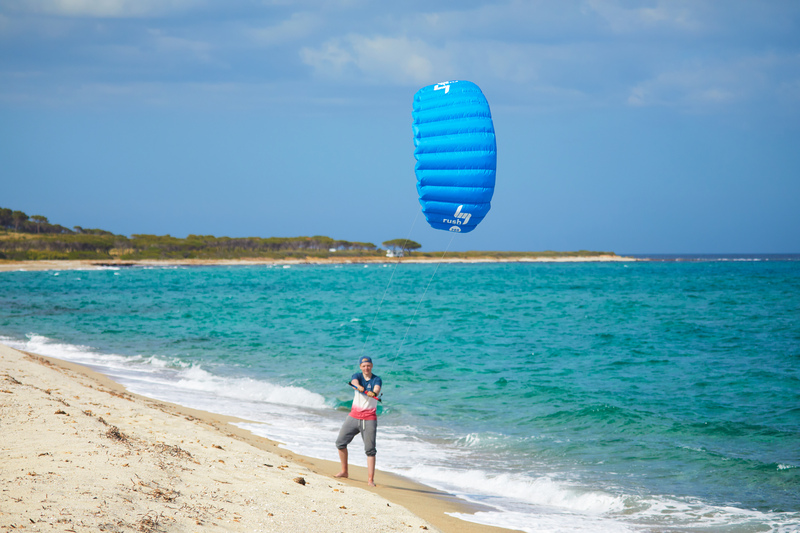 They are equipped with a third line for effortless reverse relaunches and ultimate safety, the Rush III Pro series is the perfect trainer kite for a fast learning curve. Wide wind range and Ready to Fly! My Rush V Pro 300 arrived in 3 days. It was nicely packed and supper quick delivery. I have been flying the kite for a couple weeks and am having a blast. The kite flies great.